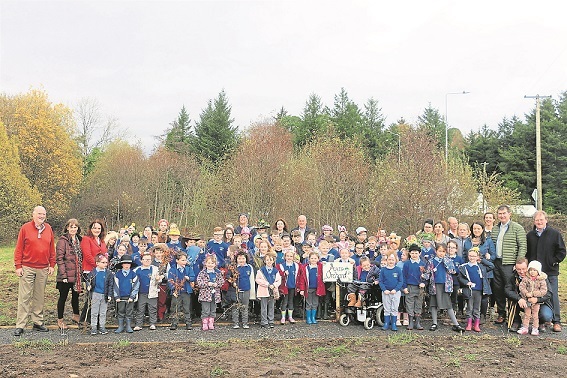 A large crowd of pupils, teachers and parents were joined by members of Donegal Co.Council at the official opening of St Eunan’s Sensory Garden and orchard in Laghey on Wednesday. The orchard consists of apple, pear and plum trees and lots of lovely fruit bushes like black currant, gooseberry and raspberry which were just planted by the children yesterday. The children decided to name it “Ava’s Orchard” after Ava Feehily Harrington, a former pupil who sadly passed away last year. It will serve as a beautiful memory and tribute to a fantastic girl who is dearly missed by everybody in the school.